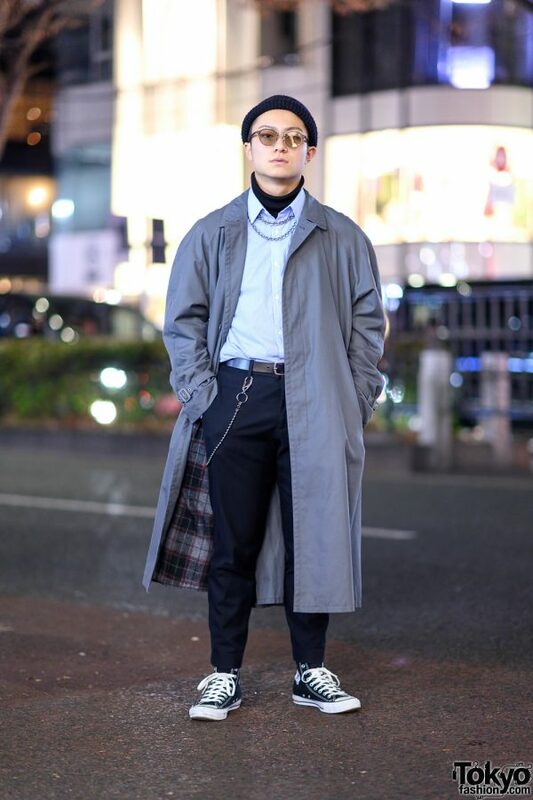 We came across 17-year-old student Takato, who was dressed for the cold weather in Harajuku. He donned a vintage gray coat with a checkered lining over a pale blue button-down shirt from Balenciaga and a black turtleneck top. 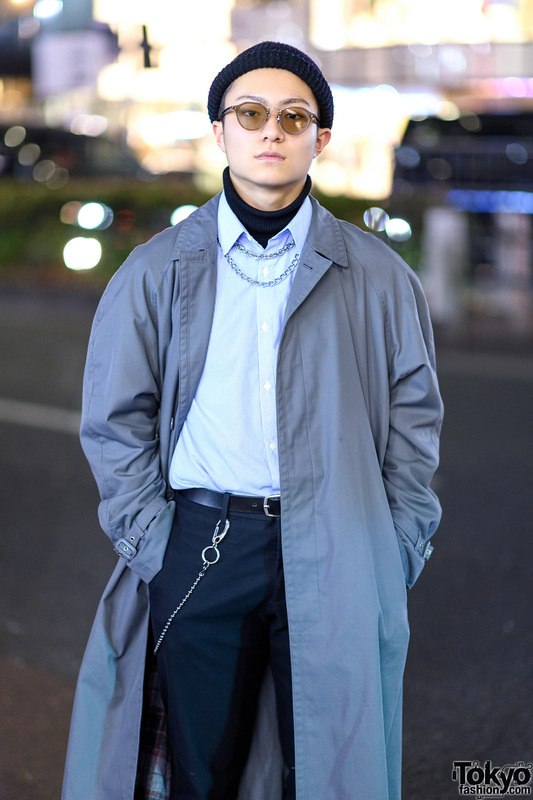 Takato also wore black pants cinched at the waist with a black leather belt and styled with a silver chain. His accessories – some of them from Gucci – include a black beanie, sunglasses, and chain necklaces. 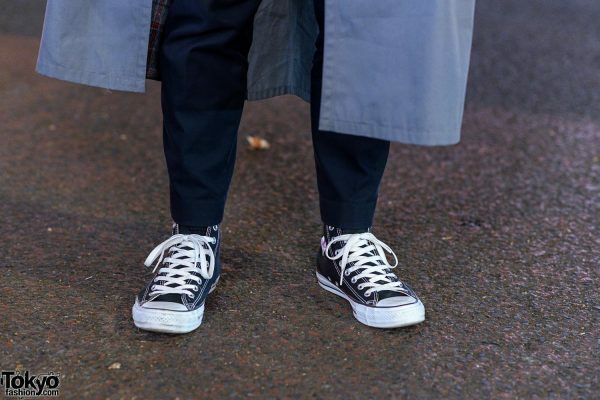 Converse black sneakers completed his look. Takato listens to music from Maisonde and posts social media updates on Instagram.